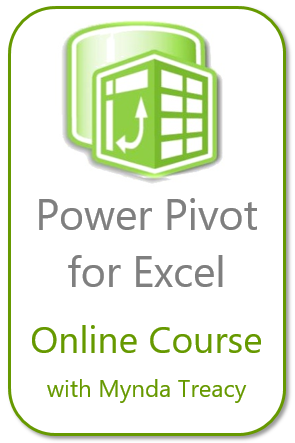 How Excel formula can save your time? How a poor system set up could drive you crazy? Why being good in Excel could save you lots of time in workplace? Here comes the 1st question – How a poor system set up could drive you crazy? The system set up for this data field is totally unprofessional. Unfortunately, this is not uncommon in real workplace. 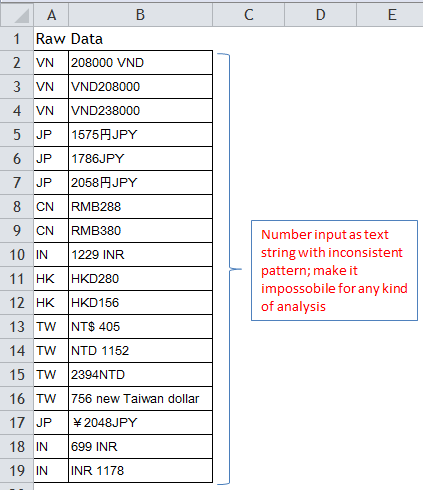 The data was all input as text string, with different currencies input manually before or after the number. Worse still, there is no consistency in the data and there were more than 5000 rows of such data. What I needed was to extract the number portion from the text string. Would this “simple task” now drive you crazy? And this explains the second question: Why being good in Excel could save you lots of time in workplace? Imagine how much time required to solve the problem if to be done manually (remember the fact that there were more than 5000 rows in my case). Needless to say the accuracy from manual work. I am not going to explain how the above formula works in details now. However, I would like to draw your attention to the functions used. 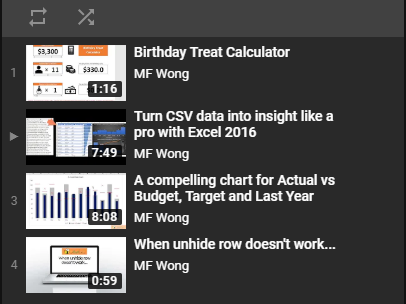 They are all simple basic functions in Excel. 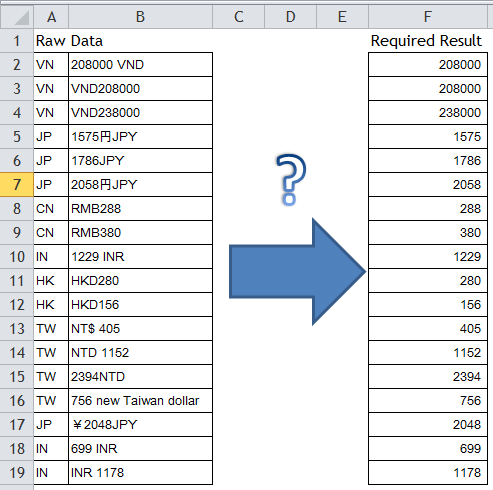 I hope you will get some insights about what Excel could do for you other than table drawing or + – * / after reading this post. Btw, if you wish to understand how the above formula works, leave a comment. This entry was posted in Formula and tagged COUNT, FIND, INDIRECT, LEN, MID, MIN, ROW. Bookmark the permalink. 4 Responses to How Excel formula can save your time? This array formula can only be used if the text string contains just one number. Furthermore, it can’t handle decimals. You are right. The formula does not serve the situations you mentioned. Instead of discussing a super formula that can handle “most” situations, I tried to demonstrate the power of formulation in Excel. Somethings seem not possible are actually doable. Got an enquiry about MID function. MID is used to extract part of a text string. you may specific the starting position and the number of characters you need. =MID(“abcdedfg”,3,2) returns “cd” as it looks at the 3rd position from the text string, and get 2 characters starting from there.